Gemini legally compels and obtains document evidence for California attorneys representing injured workers. "Gemini’s first and forever competitive advantage is our people. Our valuable clients, employees, and vendors deserve Gemini’s full commitment and effort to provide a platform for mutual success." Gemini boldly stands to care for all. As a member of our communities, it’s our duty to serve. To date, we’ve contributed thousands of dollars to hundreds of charities on behalf of our clients and employees. We strive, not just to feed, but to impact. Gemini has influenced law, regulation, and industry standards. In a world where ethics are compromised for profit, we stand as a beacon for right. It’s our goal that our partners should never be compromised by our action. Focused on your needs, delivering value. Our team consists of VRTWC state approved counselors. We empower your client with more choices to re-enter the workforce, armed with the knowledge and benefits they are entitled to. Gemini's multilingual counselors are experienced and qualified. Compassion is what leads our team to earn your client's trust and create a custom vocational objective. Gemini scans in all documents for you with OCR so that each word is identified. 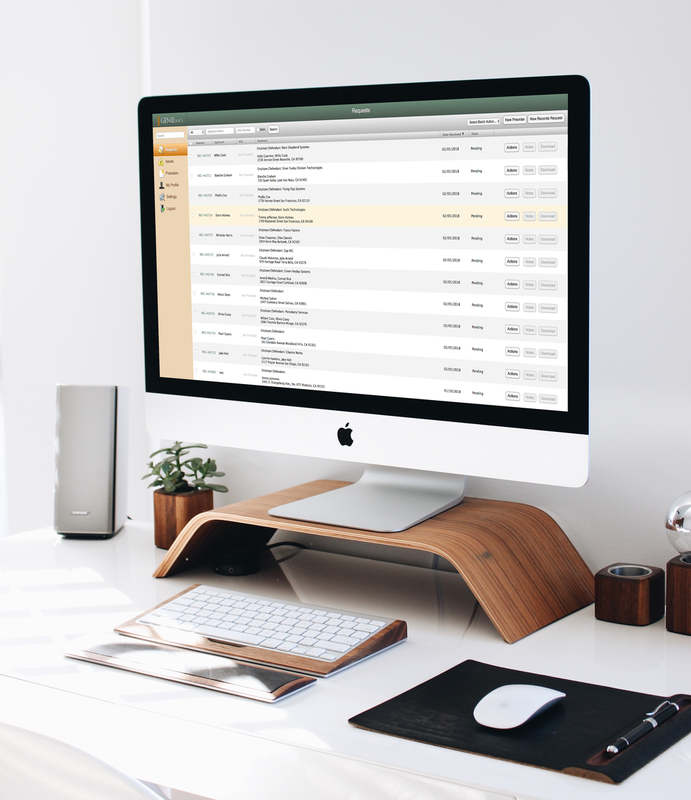 This makes fully searchable records to make your work quicker, more accurate and much easier. Gemini brings you GenieDocs, the most sophisticated cloud based technology and records procurement tool for workers' compensation attorneys. GenieDocs has OCR so all your records are fully searchable, with live order status, dedicated support, and the most user friendly order forms in the industry...and that's just the beginning. Ready to order? Sign up with the button on the top right of this page, or click here to get more info about GenieDocs. As soon as records are made available to GenieDocs users, same day digital upload to Maximus is also available. MerusCase is a Case Management Software. Gemini is a copy service to partner with MerusCase, enabling clients to order in the system and have subpoenaed records uploaded directly back into your MerusCase file. Gemini works seamlessly with your preferred SIBTF provider to streamline work by your office. Your SIBTF provider will support you with doctor and specialist referrals, while Gemini will handle all of your records ordering needs. Contact your local Account Manager to schedule a SIBTF presentation so you can better understand the benefits you can get for your client. If you are ready to order, then call your local Account Manager to get started today.